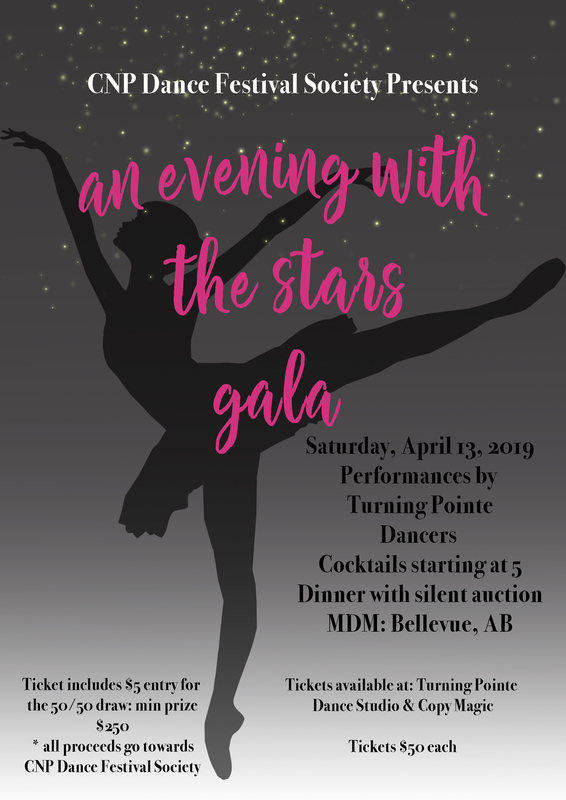 This year the Crowsnest Pass Dance Festival Society will be holding the 2nd Annual An Evening With the Stars Gala on the Saturday April 13th where our festival soloist, duos, trios, & private groups will be performing during the evening. Dress Rehearsals are taking place Friday, April 12th & Saturday, April 13th. These are a FULL Dress Rehearsal with Costume, Hair, Makeup, Tights & Shoes. 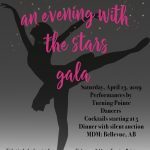 All students MUST be at MDM on Saturday, April 13th at 1:05 P.M. to learn the finale number.